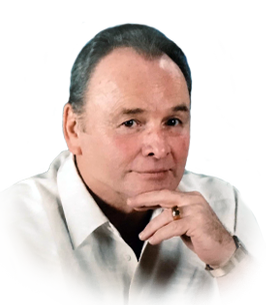 The Lord called Randy home on March 25, 2019, at age 69. Cherished husband of Nancy for almost 25 years. Adored father of Sean (Sarah), Bryan (Carla), and step-father of Heather (Wayne) Doucette. Proud grandfather of Chloe, Liam, Carter, Zander (Zirwes), and Dalia. Loving brother of Bart (Liz Carreira), Charlene (George Turnbull), and Valerie (Ken) Read. Dear Brother-In-Law of Judy (Ted) Wegner and Bruce (Janet) Schnindell. Missed dearly by numerous nieces, nephews, extended family, and friends. Reunited in death with his parents William (“Earl”) and Leona (Burke) Atkins. Randy lived life to its fullest. He loved being on the water, a good hockey game, round of golf, and was actively involved in the Catholic community. He dedicated his career to helping people plan for the future through life insurance sales and financial planning for over 35 years between Canada and the Knights of Columbus in Florida. In addition, he served as Reeve of Colchester South from 1988 to 1994. Randy was blessed with the opportunity to live a dream and retire to Florida with his wife, Nancy; make great friends; and walk his dog, Rocky. In lieu of flowers, the family asks that donations be made to Knights of Columbus. Visitation is on Tuesday, April 2, 2019 from 3-5 pm and 7-9 pm at Families First, 3260 Dougall Ave., South Windsor, 519-969-5841. On Wednesday, April 3, 2019 family and friends are invited directly to Our Lady of Mt. Carmel Church, 4401 Mt. Royal Drive, after 9:30 a.m. until a Funeral Mass begins at 10:30 a.m.